When comparing three-row SUVs, two choices are at the top of most car buyers’ lists: the Acura MDX and the Honda Pilot. Both come from the same Honda DNA, given that Acura is Honda’s luxury brand; however, there are some differences buyers will want to discover. In this comparison, we’ll help you decide between buying a used Acura MDX vs. a new Honda Pilot. There are pros and cons to both decisions, so be sure to figure out what’s most important to you when weighing your options. Let’s get the elephant in the room out of the way first, as this is one of the biggest points of contention for any car buyer. And that goes double for when you’re comparing a used car vs. a brand new car! You’ll probably find most certified pre-owned Acura MDX models with fewer than 35,000 miles for between $30,000 and $35,000. A 2015 or 2016 will add a few thousand dollars to that price. Pricing factors are based on mileage and package add-ons, such as the Technology package. You can save a little bit of money by choosing a non-certified MDX, but you’ll be sacrificing the peace of mind that comes with certification and the additional 12 months of limited warranty coverage and total 7 years of powertrain coverage from the date of the original purchase. For comparison, a new Pilot offers a 3-year limited and 5-year powertrain warranties. Model year 2014-2016 MDX prices are very close to those of a new Pilot. You will be able to find options to get a better equipped and more luxurious certified MDX for the price of a Pilot LX or EX. At the same time, you should also be able to get an MDX with the Technology package for about $4,000 less than a new, comparably equipped Pilot Touring. The MDX displays an incredible amount of interior quality with materials that can’t be matched by the lower-class Pilot, which is important if you like the feeling of luxury. While the Pilot is a well-made vehicle, but upgrades are necessary in order to really see the luxury potential. This will likely be out of most buyers’ price range. So while you’ll certainly be getting a more premium environment by opting for the Acura, the differences between the two aren’t that great. The 2017 Honda Pilot offers more space inside than the a used 2016 Acura MDX, especially in the third row. Two adults can actually fit back there and there’s even a third seat belt that should allow a trio of kids to fit. The MDX’s third row is best suited for kids due to lack of extra head and leg room. It has about 2 fewer inches of legroom and about 3 fewer inches of headroom. But, the MDX still has the title of most spacious SUVs in the luxury category. Despite this, the MDX does fall considerably short of the Pilot’s capacity. According to Honda/Acura specifications, a used 2016 MDX has 68.4 cu ft. of space in total, with 38.4 behind the second row and 15 behind the third. The 2017 Pilot has 83.9 total, 46.8 behind the second and 16.5 behind the third. These differences are huge, which is why the new 2017 Acura MDX was re-designed to allow for 90 cubic feet of cargo space. 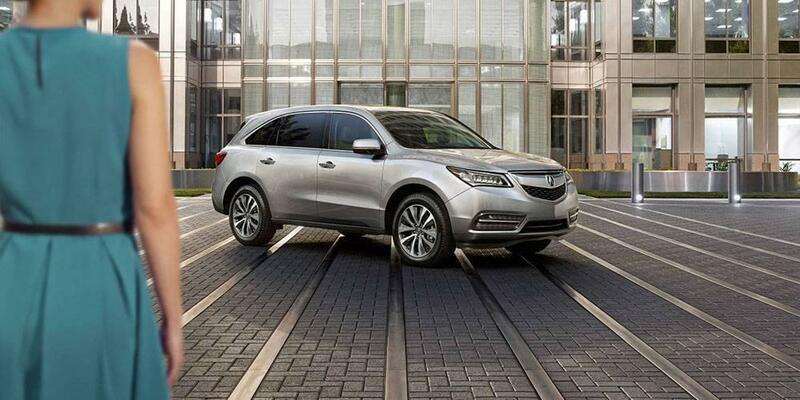 Since its introduction for 2014, the current-generation used Acura MDX has enjoyed a great reliability record. The only major complaints surround its audio system and less-than-pleasant responses from its forward-collision warning and braking system. It’s still too early in the Honda Pilot’s current model cycle to provide a definitive verdict, but so far it’s been in keeping with its nameplate’s strong reliability history. It too has drawn its fair share of infotainment complaints, but those have had more to do with design than reliability. With a certified Acura MDX, you may get a slight advantage over new Honda Pilot when it comes to warranty. With the way cars are built today, it’s unlikely you’re going to have issues within the first 3-5 years. But Acura offers a 7-year powertrain warranty with its certified line-up, to give buyers a reason to choose used vs. new. 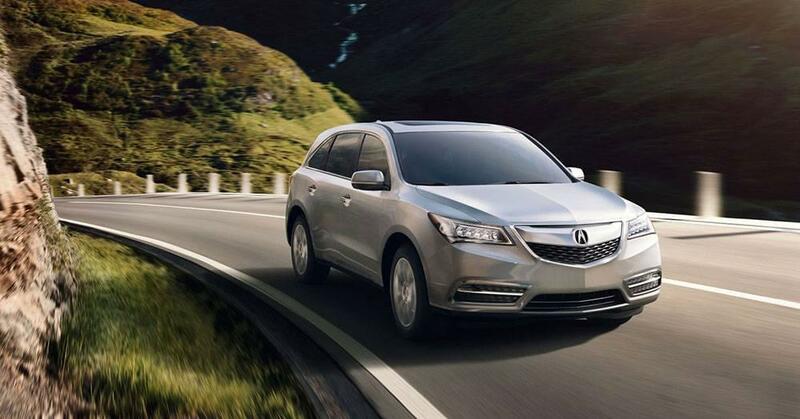 Want to Learn More About the Certified Pre-Owned MDX? Click Here!